Automotive - 321 Gang Inc.
Today’s automobiles are becoming more intelligent and more connected. To keep pace and stay competitive, you need the ability to make your solutions smarter – cost efficiently, quickly and with reduced risk. IBM IoT Continuous Engineering Solution for automotive provides the answer. Automotive SPICE (ASPICE) is a framework for designing and assessing software development processes. If implemented effectively, it leads to better processes and product quality. Tune in for this multi-part series where we’ll discuss how you can ensure proper ASPICE compliance in your organization. What problem areas does ASPICE aim to solve? For organizations that have adopted ASPICE – how do they ensure consistency and coverage? What software tools can help organizations in their ASPICE adoption? In this session, we’ll spend our time seeing how requirements can be managed while reviewing and using the requirements in the context of their downstream users. 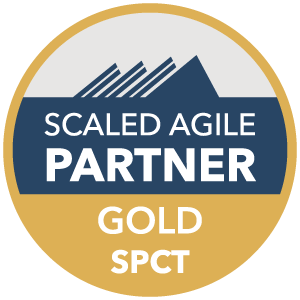 It’s only in the last few years that the Scaled Agile Framework has accommodated Systems Engineering and more specifically, Model Based Systems Engineering methodologies. This presentation speaks of a particular way to use Model Based System Engineering (MBSE) in the context of the Scaled Agile Framework (SAFe). One of the company’s primary goals was to quickly and cost-effectively deliver vehicle features that meet unique marketplace demands. To achieve this, Jaguar Land Rover uses a suite of connected engineering solutions for requirements management and modeling. In this session, we’ll witness a day in the life of a developer. We will see and review requirements, see and review the test cases that will validate the requirements, then spend most of our time planning and executing the changes required to the product to meet the new requirements and pass the tests. This presentation will explore how requirements are a key part of the MBSE information model and how DOORS Next Generation allows organizations to develop requirements iteratively, share information across teams and reduce risk, and build specifications needed for compliance. This free online training course introduces viewers to developing both Systems and Software using Model Based Systems Engineering (MBSE) and Model Driven Development (MDD) techniques.